With unemployment at 9.4% and rising, it’s a buyer’s market for employers that are hiring. But many employers are bypassing the jobless to target those still working, reasoning that these survivors are the top performers. “If they’re employed in today’s economy, they have to be first string,” says Ryan Ross, a partner with Kaye/Bassman International Corp., an executive recruiting firm in Dallas. Mr. Ross says more clients recently have indicated that they would prefer to fill positions with “passive candidates” who are working elsewhere and not actively seeking a job. The bias extends from front-line workers to senior managers. Charlie Wilgus, managing partner of executive search for Lucas Group, based in Atlanta, says a manufacturing client looking for a division president recently refused to consider a former divisional president at Newell Rubbermaid Inc. whose department had been eliminated. The client doesn’t want candidates who have been laid off, Mr. Wilgus says. White Chocolate Grill Bobby Fitzgerald prefers to hire the already employed even though he gets two dozen or more unsolicited résumés each day at his White Chocolate Grill.Employers’ preference for the employed adds another hurdle for those who have been laid off. Job seekers frequently are competing with dozens of other applicants for the few available positions. 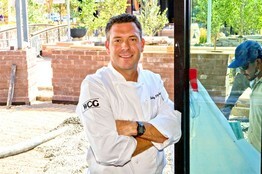 Bobby Fitzgerald, a partner in five restaurants in three states, says these days he gets two dozen or more unsolicited résumés each day at one of his Phoenix restaurants, the White Chocolate Grill. But Mr. Fitzgerald says his top candidates, for jobs ranging from servers to management, usually are people who are employed elsewhere. He currently has 50 openings across his five restaurants and has told recruiters to bring in only people who are working. Mr. Fitzgerald has long practiced “guerrilla recruiting.” Even with so many applicants available, he still sends managers to other restaurants with instructions to approach staffers who seem to be strong performers. Mr. Fitzgerald’s preference for the employed can be time-consuming and expensive. He recently spent three weeks courting a restaurant manager in Birmingham, Ala., for a management post. Mr. Fitzgerald flew the candidate to Phoenix for an interview and a “realistic job preview,” but the candidate chose not to relocate and declined the job offer. “There are a lot of applicants between Phoenix and Birmingham who would have gladly taken the job,” says Mr. Fitzgerald. Even when employers are successful, recruiting the employed can cost money. Tim Donohue, senior account manager of Infinity Consulting Solutions, an executive-search firm specializing in finance-related industries, based in New York, says candidates who are wooed away from other jobs typically demand a higher salary than the unemployed, who tend to be more open to negotiation. Nonetheless, many employers consider the employed more valuable and worth the extra effort. Health-care management-consulting firm Beacon Partners Inc., Weymouth, Mass., has openings for 10 technology-consulting and senior project-management positions. Chief Executive Ralph Fargnoli is looking first for people who are still working. “If they’re still employed that means they have some significant value,” Mr. Fargnoli says. Beacon, with about 145 employees, targets candidates at conferences, presentations and other gatherings. “We attend industry events and approach the speaker or attendees to see if they’re happy at their job and whether they see a career path at their current employer,” says Mr. Fargnoli. Recently, Mr. Fargnoli successfully recruited a chief information officer of a hospital health system for a vice president role at Beacon after meeting the person at conferences. The targets aren’t always eager to jump ship. “We’re seeing candidates afraid to move because they don’t want to be the last one in, first one out,” says Jaimie Lynn Craig, an executive recruiter with Premier Staffing in San Francisco. She says many executive-level candidates are seeking guarantees and severance provisions in case their new jobs fall through. Messrs. Fargnoli and Fitzgerald say the employees they approach are more risk-averse, given the shaky economy. When employers post jobs, they often are flooded with applicants, many of whom aren’t good matches for the position. Kristi Robinson, vice president of talent acquisition at Express Scripts Inc., says applications at the St. Louis pharmacy-benefit manager are up 80% from last year, but many candidates are either over- or underqualified. By targeting people who are currently employed in comparable positions, the firm can bypass candidates who aren’t perfect matches. Ms. Robinson is looking to fill more than 100 positions, from operations and sales to finance. She says Express Scripts is targeting passive candidates through networking and referrals, and expects them to account for about half of new hires this year, similar to last year. Job seekers sense the trend. A recent online survey conducted by Infinity Consulting Solutions of 417 job hunters in the New York area found that 59% agreed or strongly agreed that employers gave preference to candidates that are currently employed. However, there are still jobs to be had if you can calm an employer’s biggest worry about out-of-work applicants: that your termination was the result of poor performance. Arming yourself with strong letters of recommendation from your previous employer, stating that you were laid off for economic reasons and that you are “eligible for rehire,” can help your case, says Mr. Ross of Kaye/Bassman. If you can’t obtain formal letters, get references from senior-level employees at your prior company, he says. Being flexible on your salary or title also goes a long way, says Mr. Donohue of Infinity Consulting. And if you lost your job when your department was eliminated, make sure to tell prospective employers; that will be considered more benign than selective layoffs, says Mr. Donohue. “If they got rid of half the team and you’re on the losing half, their antennas are up,” he says.